Have you ever seen a book be it in a book store or online etc. and knew you needed to read it? And if you didn't you know a need would not be met? I had that exact feeling when I first found out about Heartless. After reading the synopsis and becoming increasingly curious, I was overjoyed when I finally received a copy. 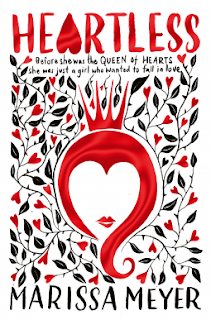 Heartless is a retelling of Alice in Wonderland through the eyes of the Queen of Hearts. You could say it's an origin story. Catherine is one of the most desired girls in Wonderland and true favourite of his majesty, the King of Hearts. However, her interests lie out of the range of marriage and being loved. All Catherine wants to do is bake and open a bakery to showcase her talents with her best friend, Mary Ann. But standing in her way are her mother and father, who think such a goal is laughable especially for a girl who could be the next Queen of Hearts. Things all change when she meets Jest, the court jester. Instantly attracted to each other they enter into a secret affair and Catherine is as determined as ever to create her own destiny with Jest. However, in a land full of magic and monsters will this plan ever come to be? 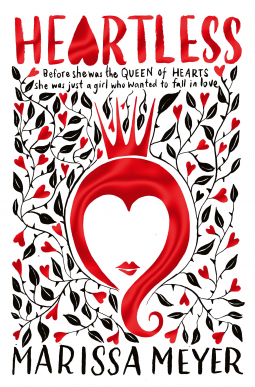 I adore the story of Alice in Wonderland and so to read an origin story about the fierce character of the Queen of Hearts was a breath of fresh air and one that I'm sure hasn't been done before. I needed to know how this queen had come to be a heartless and cruel piece of work. It was great to be able to visit Wonderland through the eyes of another and I felt that it really worked. For some it may take a bit of getting used to as you are so used to seeing Wonderland through the eyes of Alice. But I can assure you that as soon as you read a few chapters those thoughts will disappear. Despite this, the novel is rather slow-paced and it does take a while for the actual plot to sink in. I did find myself getting a little bit bored at times and all I wanted was a little bit of action. Mind you, what I did like was that Marissa obviously knew that readers would know about Wonderland already and didn't spend too much time on describing the settings and scenes. Everyone will have heard of Wonderland so for it to all be brought up in long chapters would certainly have been draining. Instead the build up is all about Cath and her journey, which is why I see this novel to be very character driven. Catherine, I found was a heroine (if you can call her that?) that I loved reading about. She was determined, strong and willing to stand up for what she believed in and what she wanted. She had dreams and she wanted to fulfil them. She didn't want to be tied down. I found myself rooting for her throughout the novel and even though you know her story wasn't going to end well you still wanted her to get her happy ending. Her love affair with Jest was insta-love in a way (and I don't usually like that) but with this it felt different. It felt like Cath and Jest were soulmates almost, destined to find one another. Jest took Cath to different worlds and ultimately made her smile unlike anyone before. Also no love triangle was mentioned, which is basically unheard of in young adult fiction. It was really enjoyable to have other well known characters pop up throughout the novel. Characters such as Cheshire, The Mad Hatter (who in this is called Hatta), The Knave of Hearts and Raven to name a few. I was fond of all the secondary characters, apart from The King, who I found to be immature, childish and just someone who I got annoyed with every time he was mentioned and Peter Peter for reasons which will be explained if you read the novel. The Mad Hatter really stood out to me as for one, he's called Hatta in this and two, he's actually not mad at that point. It's really interesting to see his transformation throughout the novel and does he go mad? You'll have to read to find out! Heartless was a great read for me and I loved this retelling of villain that many of us wouldn't really have thought about. Being put into the mind of the future Queen of Hearts was a real journey and one that I am glad to have went on. Yes it's gloomy, upsetting and at times quite dark, but it is also in a way all about following your dreams and setting your own destiny. Also, as a first time reader of Marissa Meyer I know that I will definitely be reading more of her work if this is anything to go by. 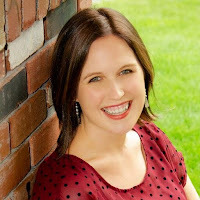 Marissa Meyer is the New York Times bestselling author of Cinder: Book One of the Lunar Chronicles. She is something of a book junkie. 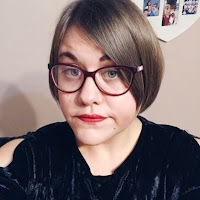 She holds a Bachelor's degree in Creative Writing from Pacific Lutheran University and a Master's degree in Publishing from Pace University. She lives in Tacoma, Washington, with her husband and beautiful twin daughters.